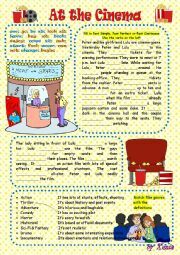 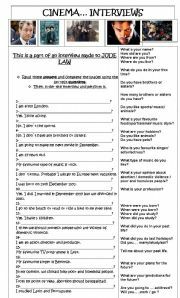 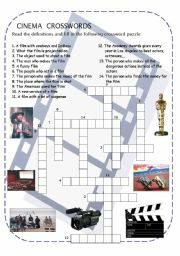 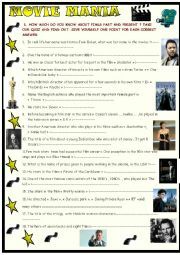 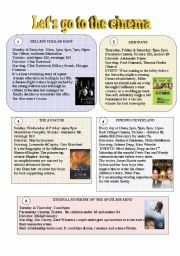 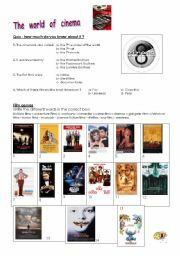 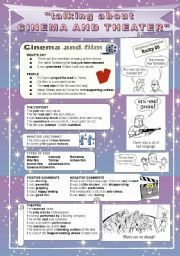 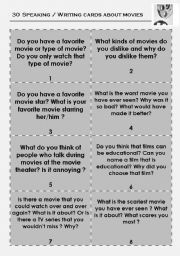 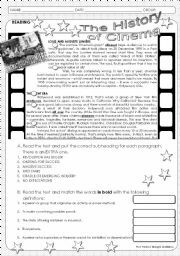 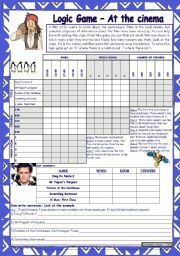 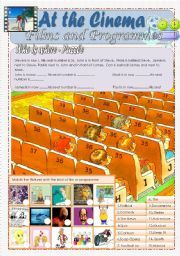 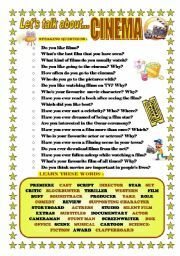 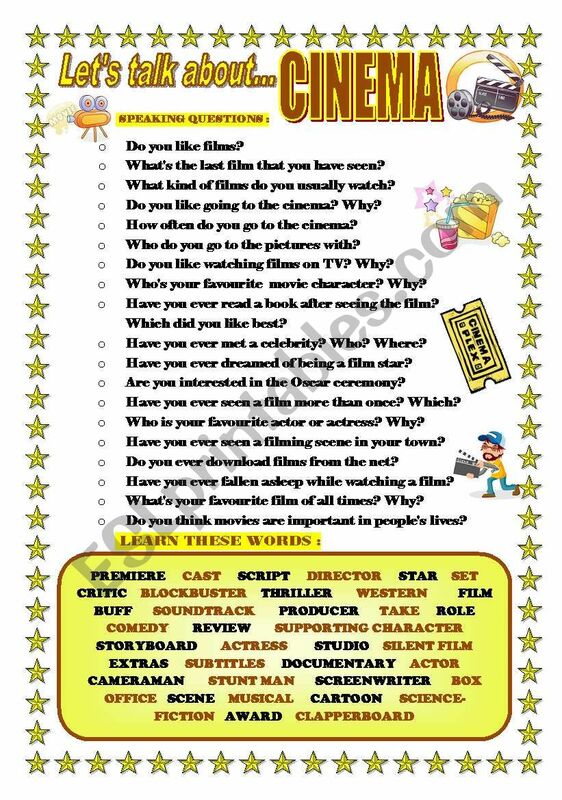 I prepared this worksheet to make students talk about the topics of FILMS and CINEMA. 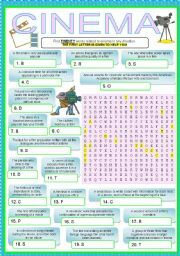 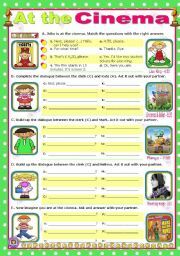 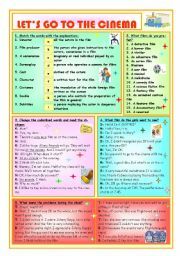 They can ask and answer the questions in pairs or the teacher can make the questions to the whole class as a warming up activity. 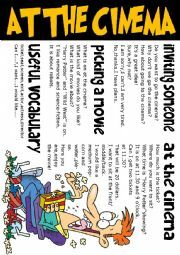 Students have to learn some words related to the topic. 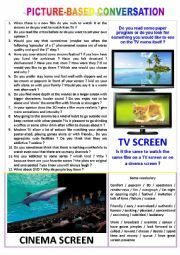 Thanks a lot for another useful ws!